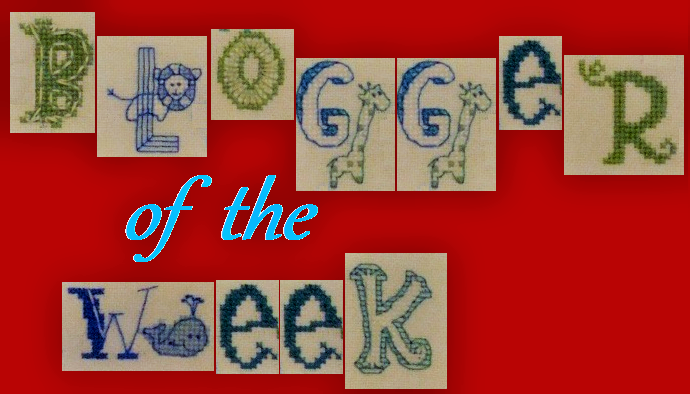 Blogger of the Week: Competition Time! We've now had 26 Bloggers of the Week featured here so I thought it would be fun to have a little competition and find out who has been paying attention to the interviews! It's a Bank Holiday Weekend here in England, the last of the Summer Holiday and our thoughts will soon be turning Back to School and then the countdown to Hallowe'en as the nights draw in. So why not make the most of the last couple of weeks of the Summer and spend some lazy time reading about your stitching friends? You could win a prize too! I have used the Random Number Generator to select photos from 9 of the featured Bloggers. All you have to do is identify the stitchers and leave a comment with your list. Comments will be moderated so no-one can copy. Haha. The closing date is in 2 weeks time, Friday 8th September and I will choose one person to win a £10 (or equivalent in your currency) voucher to the stitching store of your choice. Any store which will allow me to buy a voucher online using PayPal that is. So start browsing and get guessing. Remember, 9 people have a head start because hopefully they will recognise their own work! Thank you Jo for including me in the photos.So nice to see my work on your blog competition. So here are the blogs the photos come from. I am writing the blog name and the lady's name.Some of the pieces I remembered as I had admired them so much. I wish I had time to stitch but now with looking after my mum from 1st September and preparing her house will be even more difficult. 9. Lesley of Lesley's stitching diary. Jo, great idea.. I have managed to catch up on all the recent postings! I recognised almost every piece without searching - which surprised me!!! 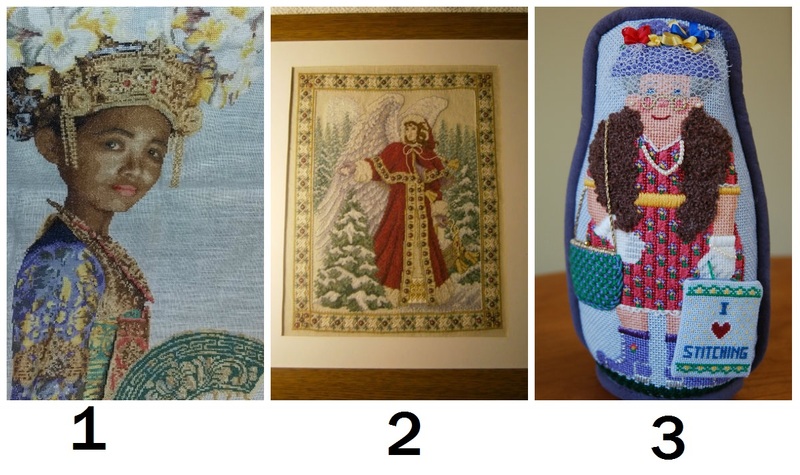 Great fun,I have read all the Bloggers of the Week as they have been published and recognised the pictures but not every stitcher,so I have enjoyed re visiting them all. Happy Bank Holiday Jo,thanks for this. Hi Jo. Fun contest and something to do because I can't hardly stitch. Thanks again for the fun contest. 1. The Balinese Dancer stitched by Ariadne from Greece. 4. Biscornu completed by Kerry from Ramblings of a Biscornu Addict. Love all the stitching and of course the Bloggers of the Month. Gives me new stitchers to check out. Thank you for doing this. 123 Stitch is my favorite online store. As for my favorite blogger it is Stephanie from Oh Sew Crafty...she does so many beautiful pieces and I love her youtube channel also. I recognized a few immediately, but others I had to look up. it was fun going back through all those posts again! It was fun looking back on previous posts. Nice idea, Jo. Here is what I found.